The way we interact with electronics has drastically changed from being based on physical switches to using primarily touch screens. The EveryTouchFX system would take that new standard from the world of computers to the physical realm by turning absolutely everything into a touch sensor. The team behind the EveryTouchFX doesn’t give much information on how their invention works, but they do say that it isn’t based on radio waves, infrared or electric sensors. The sensor modules can be fitted behind or under virtually any material up to two inches thick, turning that material into a touch panel. 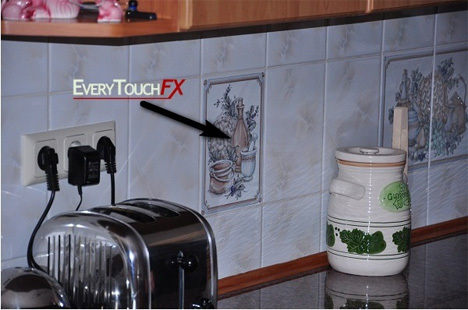 According to the makers, EveryTouchFX could be used to eliminate unsightly and unsanitary light switches in public places. The versatile touch panels could also be used in homes to add a more decorative element to electric switches. The biggest problem with that application, however, would be the utter confusion for visitors caused by the lack of switches. See more in Industrial Design or under Technology. January, 2013.